If you’re a regular listener, you’ve heard me say before: The more you know your customer, the better. The closer your relationship, the better it will be – for you and your customer. 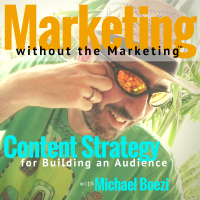 I’ve devoted an entire series of this podcast to finding and vetting your customers, and then converting them into advocates. That’s why I’ve been interested in observing the Starbucks Rewards Program since they made a big change to it back in April. Everything I just described above? Starbucks is doing this, at scale, with data. This is a great lesson for anyone in marketing today, which is why I thought I’d do a brief case study on the new Starbucks Star Rewards Program – and how you can apply it to your own small business. 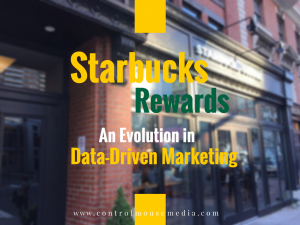 Because I’ve included some data and a lot of visual examples, I have a blog version of this episode as well, which you can find here: Starbucks Rewards: An Evolution in Data-Driven Marketing. Listen to the episode here or subscribe in iTunes. Here are links to the articles I mentioned in the episode, and a couple others of interest. Thanks for listening, and let me know if I missed any!